In a nightmarish future, the society in the super state Oceania is controlled by Big Brother. Every aspect of life is closely monitored, every trace of privacy is rubbed off and the slightest hint of personal freedom or rebellion is ruthlessly quashed by the party under the aegis of Big Brother, whose image is present everywhere. Orwell describes a world of terror where the price of freedom is betrayal in this all-time classic. About the Author: Eric Arthur Blair who used the pen name George Orwell, was an English novelist, essayist, journalist and critic. His work is marked by lucid prose, awareness of social injustice, opposition to totalitarianism, and forthright support of democratic socialism. Orwell wrote literary criticism, poetry, fiction, and polemical journalism. 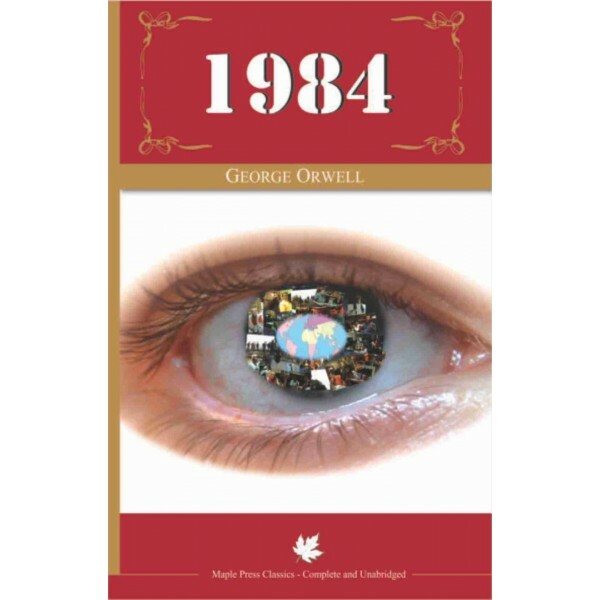 He is best known for his dystopian novel 1984 (published in 1949).